AiPT! Comics podcast episode 3: Politicians, publishers, and Cyclops – AiPT! This week in news, Dark Horse Comics is publishing Aladdin and Dumbo anthology comics to coincide with the live action movies, Valiant Entertainment picks up Heather Antos as editor, Comixology Unlimited adds DC Comics, and representative Alexandria Ocasio-Cortez quotes Alan Moore’s Watchmen. Next, we then recap all our favorite comics out January 9th which includes comics from AHOY Comics, Marvel Comics, DC Comics, and Image Comics. We also discuss the Marvel budding podcast-verse and what comics we’re most looking forward to out January 16th. 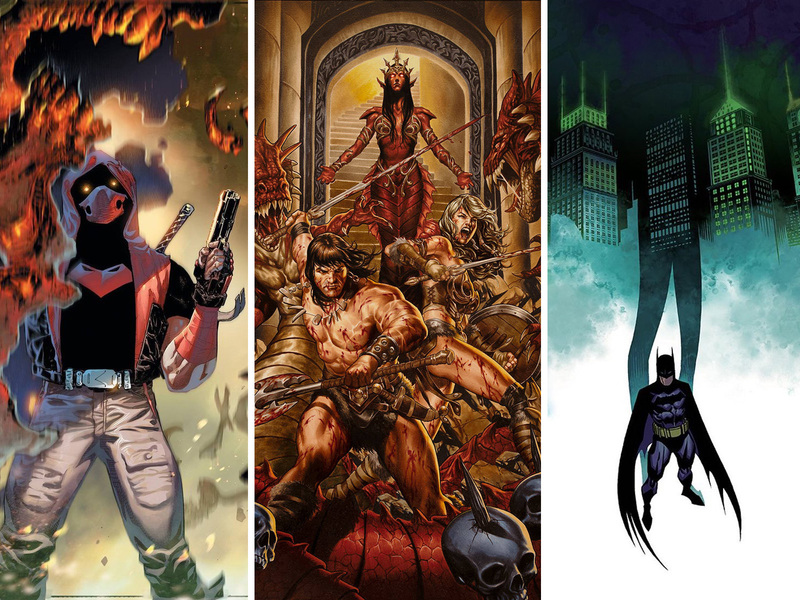 Also, check out our favorite covers for comics out January 16, 2019, which we discuss at the 53-minute mark. In a special guest appearance, Chris Hassan joins us in the final minutes to talk about Cyclops Week which kicks off January 21st. Get all the details on this much talked about week of stories, interviews, and exclusives right here.